How can scoliosis affect your body? Scoliosis – a lateral curvature of the spine. This curve may sometimes cause compression of organs or muscular tightness in your body. If you have scoliosis, you’re not alone! Everyone has some kind of musculoskeletal asymmetry that is caused by either the asymmetry of the internal organs or right or left-handedness. This can lead to a misalignment of the pelvis or rib cage. In addition, scoliosis can influence your body while you are standing, sitting or lying down. How do you know if you have scoliosis? Which part of the spine is scoliosis likely to progress? According to the Scoliosis Research society, the thoracic (upper) spine is more likely to progress than thoracolumbar (middle) spine or lumbar (lower) spine. 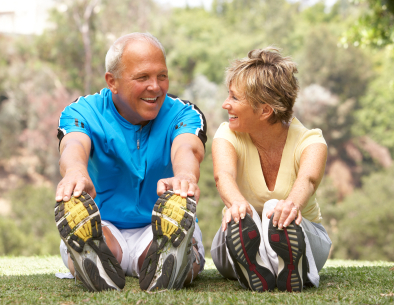 One of the most effective treatments is exercise such as Yoga, Pilates or Occupational Therapy. The purpose of these exercises is to strengthen the core (pelvic floor muscles), stabilise the body, introduce asymmetrical movement with an emphasis on the weaker side, and greater body awareness. Unfortunately, there is no quick fix for people with scoliosis. It actually requires a lot of patience, determination and commitment as any improvement happens gradually. Think of this treatment as similar to learning a foreign language – first of all, you need to learn grammar and vocabulary. Later on, you start putting new words together to do basic things like order a meal, ask the time or for directions. However, your journey doesn’t stop there if you want to step up from Elementary level to Professional Proficiency – being able to discuss different matters with ease and understand what others are saying. The good news is that one of the key benefits of doing regular exercise is that you can prevent further curvature of the spine that could potentially lead to a decreased range of motion, deformity of the rib cage and pain. Therefore, it’s recommended to start your fitness regime as soon as possible and you’ll be able to make a difference to your overall health in the upcoming years. If you still need advice on how to minimise the negative impact of scoliosis, strengthen your core and improve your flexibility, you can enquire about our mat-based Pilates classes in the Panaceum Rehabilitation Centre, Geraldton. Call Kat on 0415 128 804 for more information or send us an email.